Gabrielle Persley, senior advisor to the director general of the International Livestock Research Institute (photo credit: ILRI/MacMillan). Gabrielle Persley, senior advisor to the director general of the International Livestock Research Institute (ILRI), is leaving her position at ILRI this month to take up work for Australia’s Crawford Fund. Persley has a rich knowledge of African agriculture and food security and the transformative role agricultural science, and biosciences in particular, must play in Africa’s economic development. Persley contributed to development of a Bio-Innovate Program, officially launched yesterday with funding from the Swedish International Development Agency and co-located at ILRI’s Nairobi laboratories. 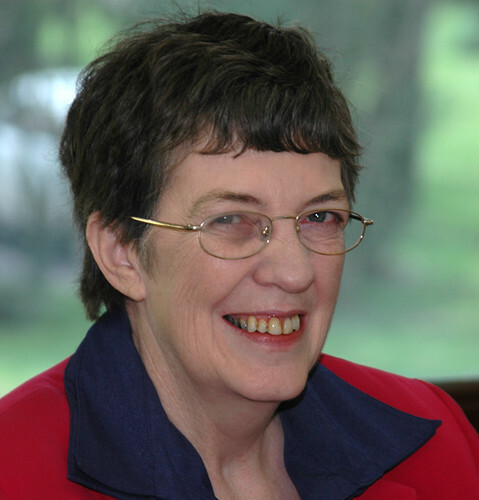 She helped to bring another joint initiative, the Biosciences eastern and central Africa (BecA) Hub, also located at ILRI, from infancy to young adulthood, helping to secure original funding from the Canadian International Development Agency and then the Syngenta Foundation and supporting the resulting transformation of existing laboratories into state-of-the-art facilities for the whole region. These flagship platforms will help accelerate biosciences innovations in and for Africa. 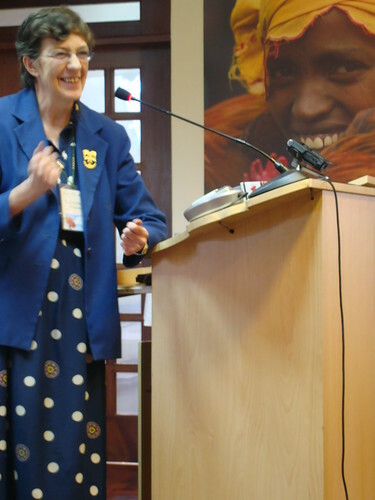 ‘Gabrielle has had a long association with ILRI and its predecessors—the International Laboratory for Research on Animal Diseases (ILRAD) and the International Livestock Centre for Africa (ILCA)—going back to the mid 80s when she first started visiting both institutes as the Australian aid representative responsible for Australian contributions to these and other centres belonging to the Consultative Group on International Agricultural Research (CGIAR). She has returned on many occasions over the ensuing 25 years to help us face new challenges and mobilize support for our work. ‘Gabrielle will be leaving ILRI at the end of March to take up a new assignment with the Crawford Fund in Australia. Her work will focus on “Expanding the horizons in International Agricultural Research”, as part of enhancing the Crawford Fund’s role as a think tank on Australian aid policy, particularly in regard to identifying new investment streams for international agricultural research, and in working with like-minded foundations internationally. 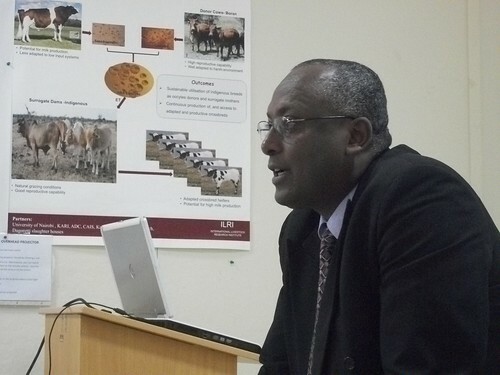 Persley is giving a farewell seminar this afternoon (17 March 2011) at ILRI’s Nairobi headquarters. Africa, science and agriculture: a 25-year perspective,’ through the eyes of Gabrielle Persley, who has been a scientist in Africa, a donor, a partner, a senior advisor and a friend of ILRI and its predecessor, ILCA and ILRAD, and the CGIAR, and who is a friend of Africa and Africans. At the seminar Gabrielle will share reflections about the co-creation of BecA by ILRI and its partners in Africa and internationally over the past several years; a vision of where BecA may go in the future, including through partnerships with new programs such as Bio-Innovate on product incubation; looking further into the future in broadening the horizons of international agricultural research by identifying emerging issues and new funding streams beyond the traditional CGIAR investors; and the enabling environment necessary for creating a vibrant research-for-development culture on campus. 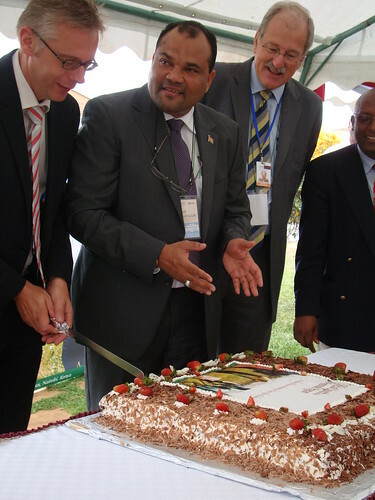 Launched today at the International Livestock Research Institute (ILRI), the Bioresources Innovations Network for Eastern Africa Development (Bio-Innovate) program will support the fight against food insecurity in eastern Africa (photo credit: ILRI/MacMillan). 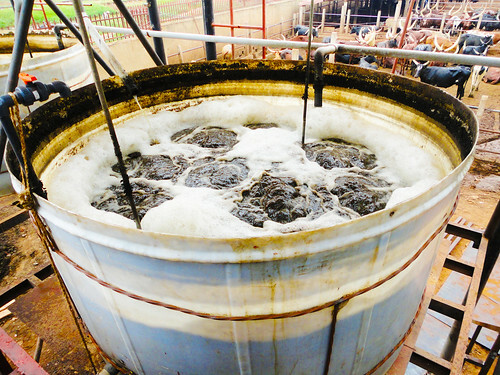 A new program that provides grants to bioscientists working to improve food production and environmental management in eastern Africa was launched today at the Nairobi headquarters of the International Livestock Research Institute (ILRI). The newly established Bioresources Innovation Network for Eastern Africa Development (Bio-Innovate) Program—the first of its kind in Africa—provides competitive grants to African researchers who are working with the private sector and non-governmental organizations to find ways to improve food security, boost resilience to climate change and identify environmentally sustainable ways of producing food. In its first three-year phase, the program is supporting five research-based projects working to improve the productivity of sorghum, millet, cassava, sweet potato, potato and bean farmers; to help smallholder farmers adapt to climate change; to improve the processing of wastes in the production of sisal and coffee; and to better treat waste water generated in leather processing and slaughterhouse operations. In its second three-year phase, beginning mid-2011, Bio-Innovate will help build agricultural commodity ‘value chains’ in the region and a supportive policy environment for bioresource innovations. The five-year program is funded by a USD12-million grant from the Swedish International Development Agency (Sida). Bio-Innovate is managed by ILRI and co-located within the Biosciences eastern and central Africa (BeCA) Hub at ILRI’s Nairobi campus. Bio-Innovate will be implemented in Burundi, Ethiopia, Kenya, Rwanda, Tanzania and Uganda. ‘By emphasizing innovations to help drive crop production in the six partner countries, Bio-Innovate is working at the heart of one of the region’s greatest challenges—that of providing enough food in the face of climate change, diversifying crops and addressing productivity constraints that are threatening the livelihoods of millions,’ said Carlos Seré, ILRI’s director general. An increasingly large number of poor people in the developing world are hungry, or, in development-speak, ‘food insecure.’ In sub-Saharan Africa, where agricultural production relies on rainfed smallholder farming, hunger, environmental degradation and climate change present a triple threat to individual, community and national development. In eastern Africa alone, over 100 million people depend on agriculture to meet their fundamental economic and nutritional needs. Although some three-quarters of the African population are involved in farming or herding, investment in African agricultural production has continued to lag behind population growth rates for several decades, with the result that the continent has been unable to achieve sustainable economic and social development. Bio-Innovate works closely with the African Union/New Partnership for Africa’s Development (AU/NEPAD) and its new Planning and Coordinating Agency, as well as with the councils and commissions for science and technology in eastern Africa, to encourage adoption of advances in biosciences. The program builds on AU/NEPAD’s Consolidated Plan of Action for Africa’s Science and Technology and the Comprehensive Africa Agriculture Development Program (CAADP). Bio-Innovate has already established partnerships with higher learning institutions and national agricultural research organizations, international agricultural research centres and private industries working both within and outside eastern Africa. The Bio-Innovate team is working with these partners to help guide development and adoption of homegrown bioscience policies in its partner countries and to spread knowledge of useful applications of bioscience. In the coming years, Bio-Innovate staff envision eastern Africa becoming a leading region in the use of biotechnology research and approaches for better food production and environmental management. 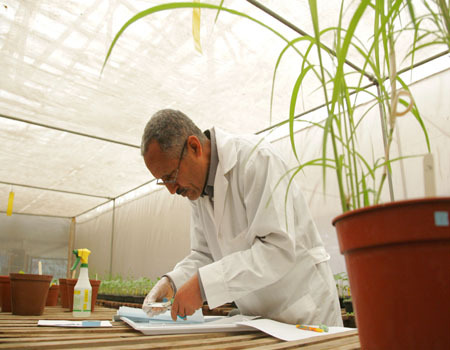 Global Status of Commercialized Biotech/GM Crops – Which way for Africa? The deadline for receipt of the Concept Notes is July 9, 2010.